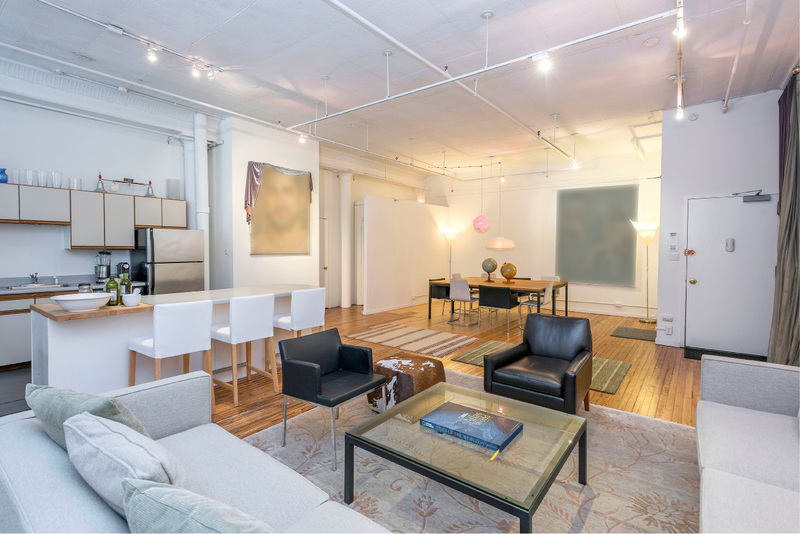 Iconic and authentic, sprawling one bedroom loft on one of the best, cobblestoned streets in Soho. 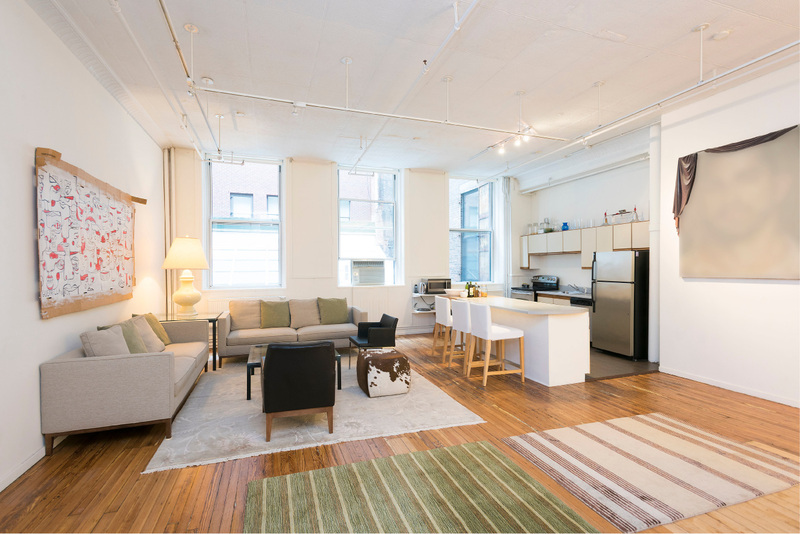 With approximately 1200 square feet of wide-opened, flexible space, this quiet, corner unit features soaring ceilings, four oversized windows and hardwood floors. In-unit washer/dryer. Good light. No Board approval required. Available furn. at $6,900.00. 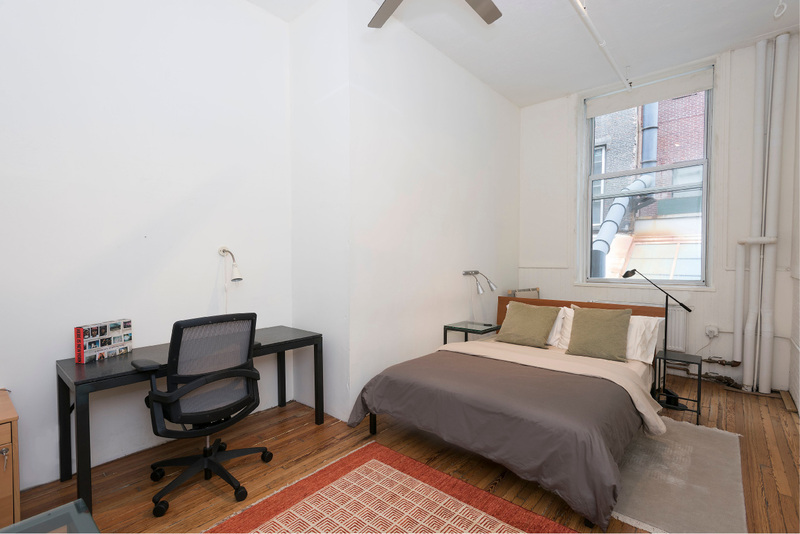 Located between Spring and Prince Streets in the heart of Soho with easy access to the Village, Bowery, Tribeca, the Lower East Side and all that Downtown has to offer. Convenient to all transportation. By appointment. 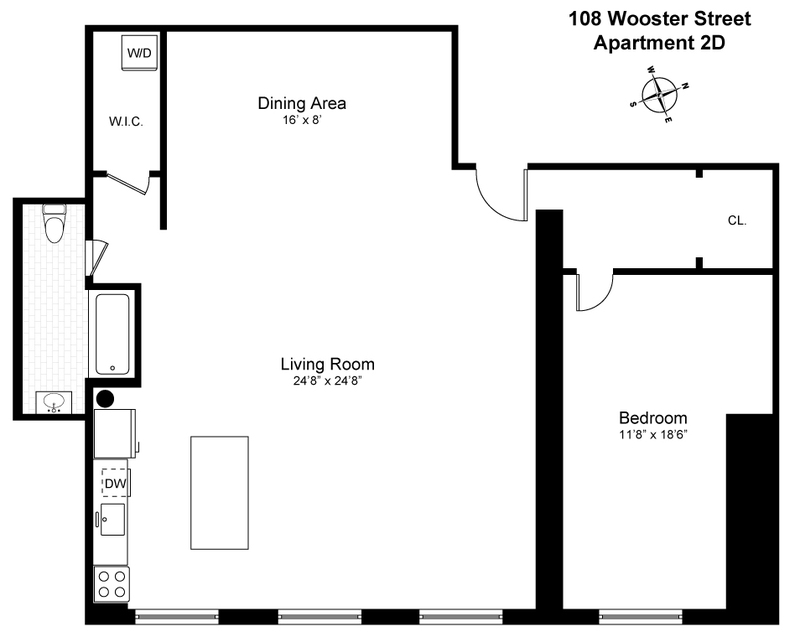 * Listing courtesy of Demsker Realty.